"And still it's from her that you learned that whatever she has chosen to become, you'll still feel proud of her simply because has the key to your heart forever." 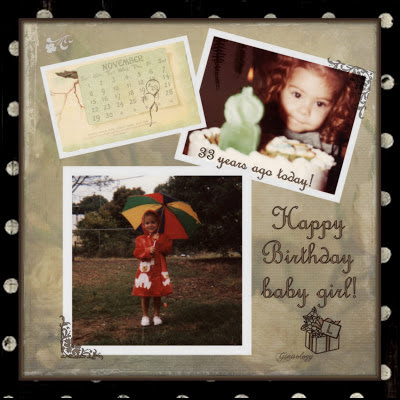 Thirty-three years ago today, a sweet little baby girl came into my life . . . she has been a blessing ever since . . . .
Daughters do have a way of doing that! What a sweet post and collage, Gini. Thank you, Jacqi! Hard to believe she is 33! The years sure went by fast . . . . I have enjoyed every minute of it . . . so proud of her! Glad you stopped by Jacqi!